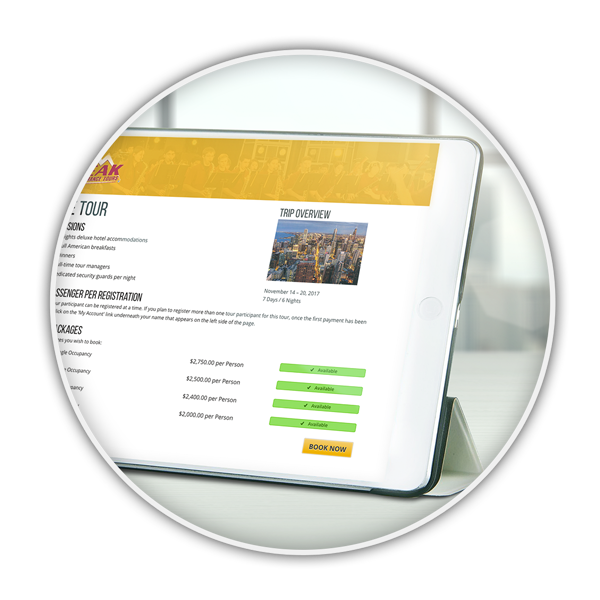 Learn more about what TourTools® can do for you. The new TourTools® offers a single, easy-to-understand and user-friendly interface in which multiple screen interfaces have been integrated into one tabbed window. Also, easy searches have been incorporated into every screen. 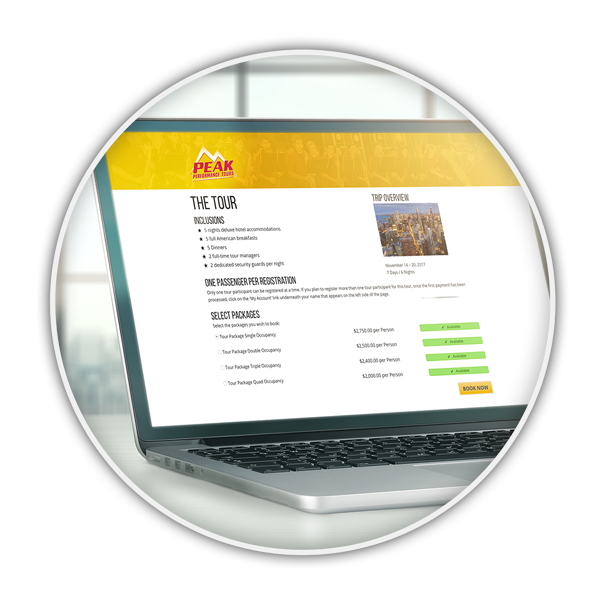 Newer versions of TourTools® still include the same great features that won the 2015 SYTA Youth First Award. The new TourTools® offers a single easy-to-understand and user-friendly interface. integrated into one tabbed window. Our TourTools® developer team maintains a solid track record of being on-time and on-budget with great results. Your time is important to us, and we want to be certain you find high value both in our customer service and the finished product. We believe that being behind schedule or charging unrealistic prices leads to failure in the long run. We will work diligently to avoid surprises. If a project’s scope should change due to unforeseen parameters, we will continuously update estimates as we learn more about the solution you need, keeping you posted on timeframes and costs as much as possible so you can always be prepared. With new TourTools® applications, we focus our energy on talking through your issues and needs so we fully understand the project. Adatasol, Inc. provides ongoing, continuous support to our TourTools® customers. Our TourTools® developers will be there to make changes and enhancements as your traveling needs change. We will ensure your TourTools® applications are continuously supported as your business changes.